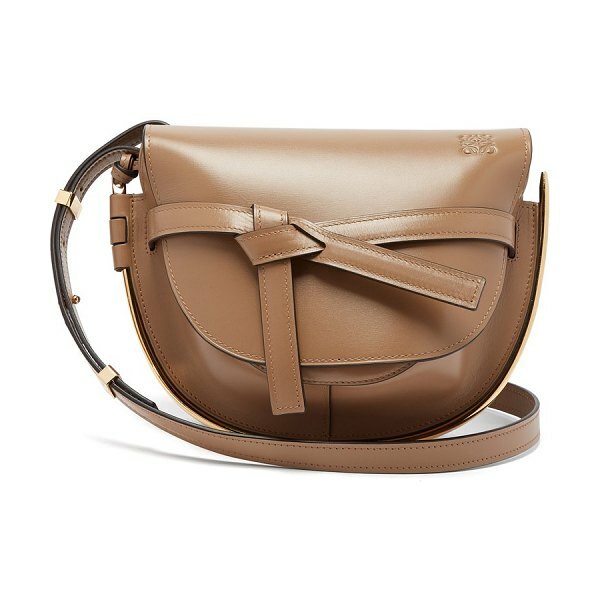 Loewe - Loewe's coveted Gate bag arrives in caramel-brown leather for Resort 2019. 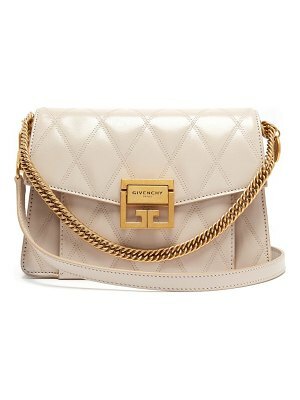 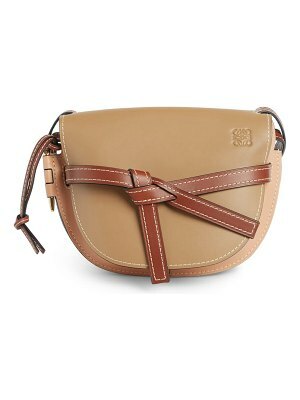 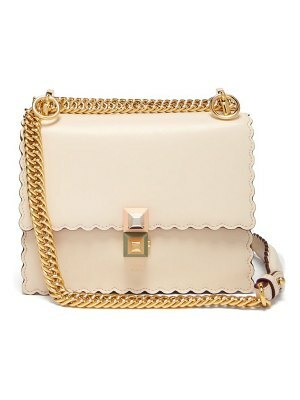 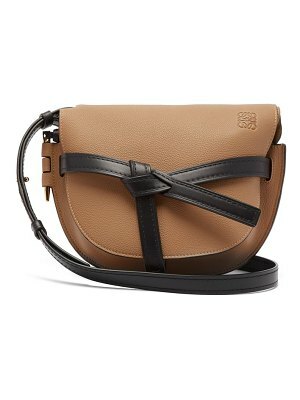 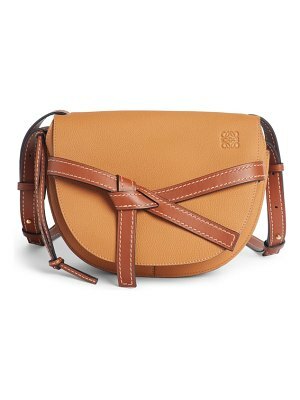 The compact shape features a detachable cross-body strap and a coordinating topstitched knotted front, then set with the namesake latch fastening on the side and lined with brown suede. 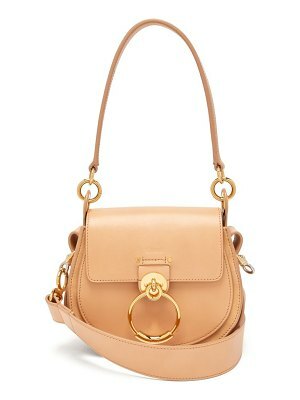 Contrast the neutral hue against that of a tonal sweater and a pleated midi skirt.